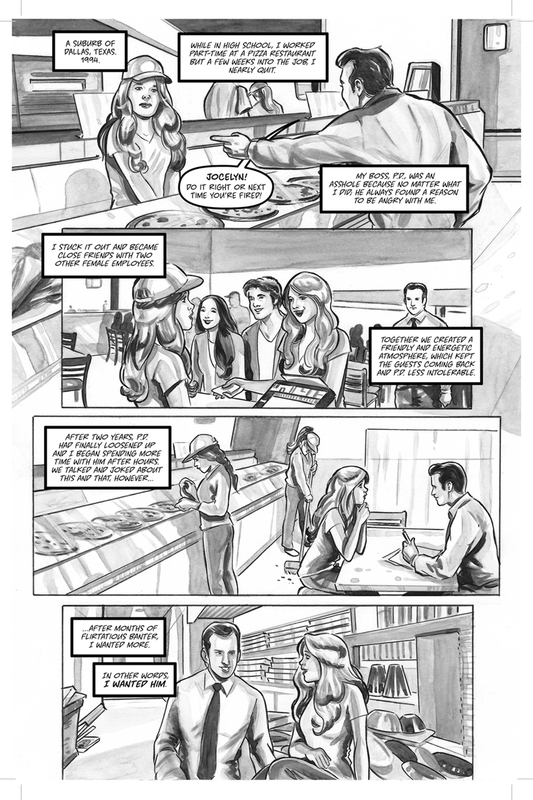 I promised in my previous post to share the completed first interior page for Trophy Girls #1 with you. 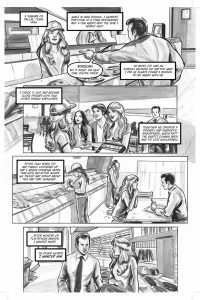 As a woman who keeps her promises, I present to you page 1 of Trophy Girls issue #1! Even without dialogue it’s easy to see how Judit Tondora’s ink washing certainly does shift the mood of the story. The pages looked great but I’d forgotten one important detail in my script. How would the reader know who was narrating? I couldn’t assume that everyone would know it was me because later in the issue Crystal would narrate too. The answer, add dialogue in the first panel to indicate that it’s me telling the story. I’m also excited to announce that the Trophy Girls title logo is complete! Crystal and I both collaborated with Comicraft co-founder, John Roshell, in the designing of the logo. You can look forward to the unveiling of the Trophy Girls logo in my next post. Now I will begin searching for the first issue cover artist. Until then I’d love to hear your feedback on the artwork for the first six pages.